Occasion - birthday, Bar Mitzvah, etc. 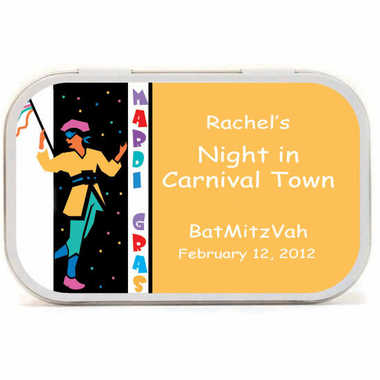 Remind your guests of a fun care-free party with these mint tin Mardi Gras favors. 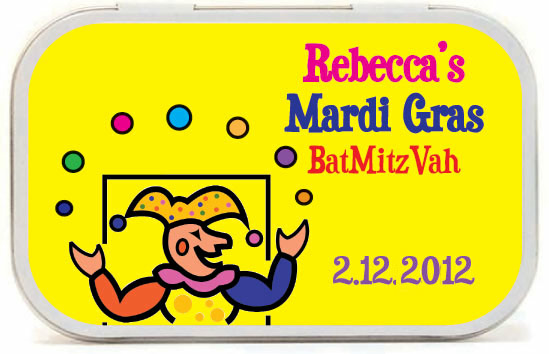 Since Marti Gras is coming up so soon, we offer a free rush charge. Just put "free rush charge - Mardi Gras Party Favors" in the comments area. 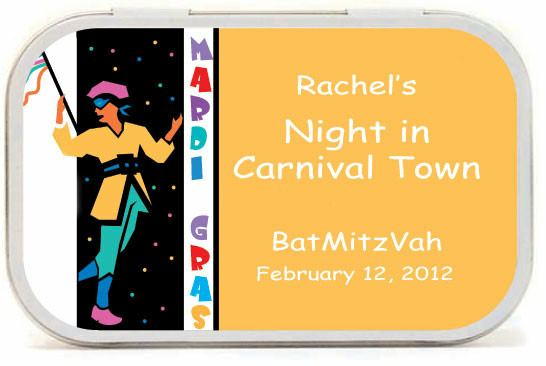 The outside of the tin is personalized with your "Mardi Gras Theme" designed label. 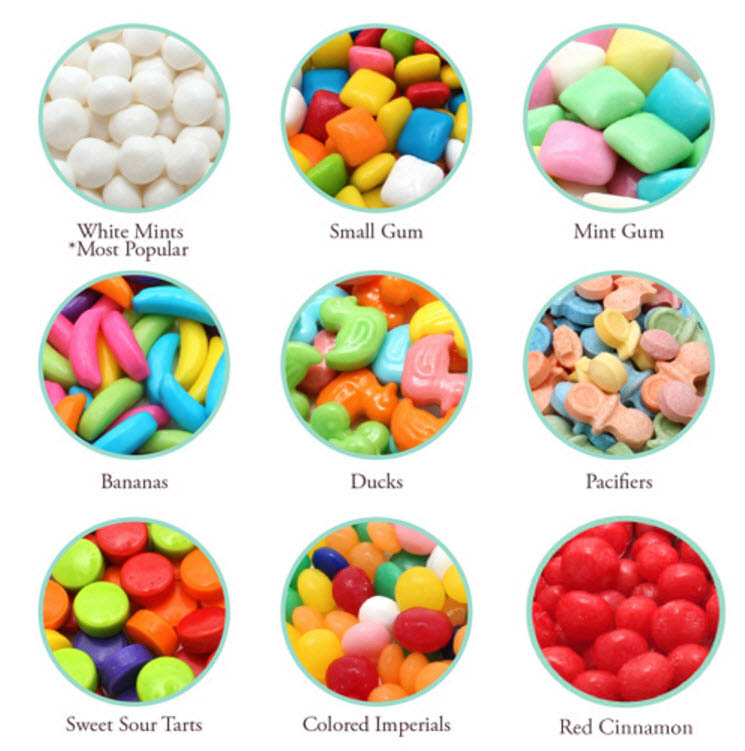 The inside contains refreshing candies of your choice. 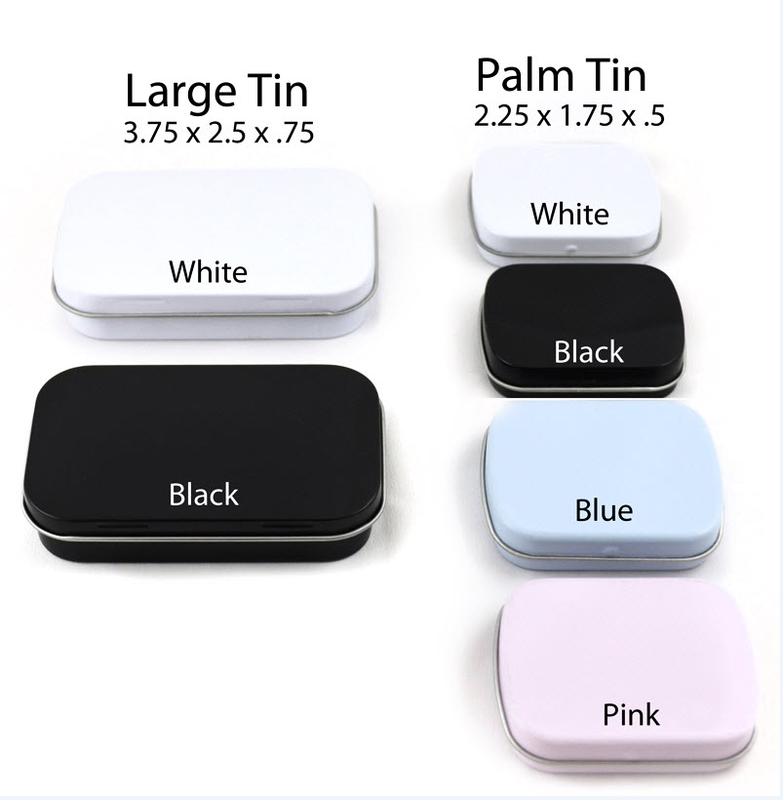 Mint tins are produced in 10 business days. Shipping requires additional time. Here is a time table for ground shipping.